The Chateau de Castelnaud is towards the south of the Dordogne department, in the village of Castelnaud-la-Chapelle, one of France's 'most beautiful villages'. Built originally in the 12th century, the castle faces Chateau de Beynac across the Dordogne River. The castle has had a very turbulent history. It first saw action during the during the Albigensian crusade under Simon de Montfort against the cathars, when the castle belonged to Bernard de Casnac, a cathar. In 1214 the castle was seized from de Casnac, who then regained it a year later and hanged all members of the occupying garrison. He was the driven out again, this time by the Archbishop of Bordeaux, who ordered the castle be burned. Rebuilt in the 13th century, during the Hundred Years War after 1337 Chateau de Castelnaud was in the hands of the Caumont family and part of English ruled Aquitaine, while the Chateau de Beynac was part of France. Frequent battles meant the castle changed hands several times between the English and the French, resolved only by a final French siege in 1442. The Hundred Years War was to continue until 1453, after which the Caumont family regained ownership of the castle which was again repaired and substantially reinforced. Much of the castle we see today dates from this period. The Caumont family ruled the region brutally, and although they chose to side against the catholics during the Wars of Religion the family was too feared for anyone to launch an attack. By now the medieval castle was becoming unsuitable for everyday living accommodation and the family built and lived in the Chateau des Milandes a little way to the south. over the centuries, and particularly after the revolution, the castle slowly become a derelict ruin. 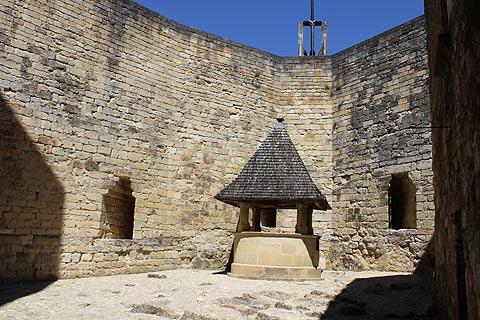 There is much to enjoy in a visit to Chateau de Castelnaud, which has been extensively restored over the last few decades. It is now the most visited castle in the south-west of France. 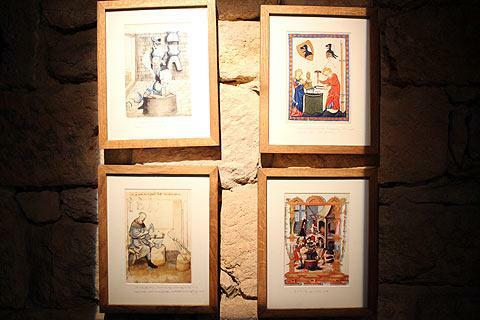 The castle is now dedicated to explaining warfare in the middle ages with the Museum of Medieval Warfare in the castle. 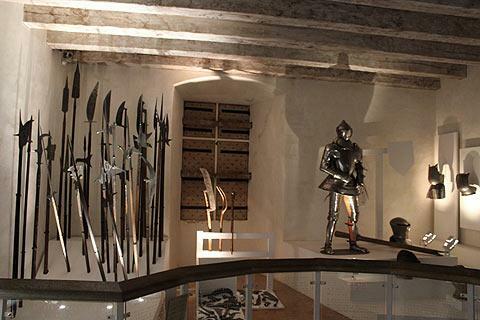 This museum explains some of the many unpleasant pursuits that passed for war in the 13th century, and has a wide range of medieval armoury and full-scale recreations of medieval weapons (seeing how the weapons and medieval warfare worked is the highlight of a visit). Guided visits are available in English during the peak summer season. There are various different demonstrations taking place each day during the summer. 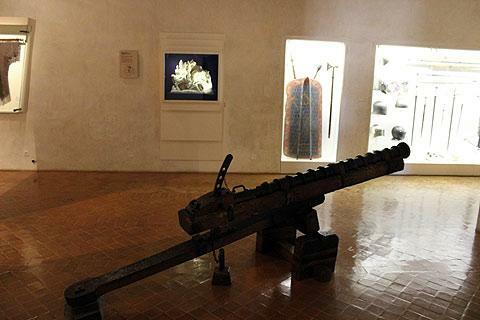 For example there is a demonstration of the forge and demonstrations of some of the weapons. 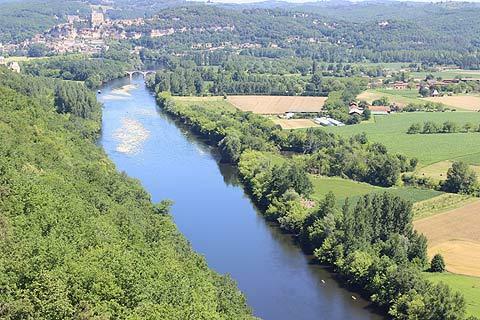 The castle also has very good views across the Dordogne valley, the river and villages such as nearby La Roque-Gageac, and of course to the longstanding enemy at chateau de Beynac. 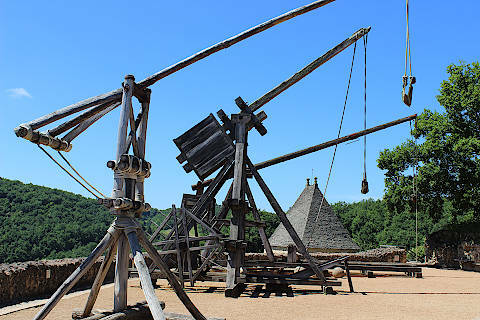 See a more detailed article about Chateau Castelnaud in our French Castles section. 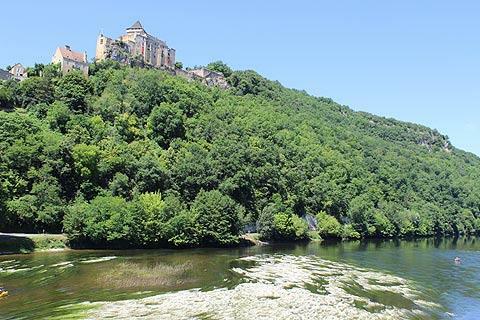 The Chateau de Castelnaud is to the south of Beynac and west of Domme which are also both classified among the 'most beautiful villages in France'. Another you will want to visit is La Roque-Gageac, a small village along the edges of the Dordogne river. 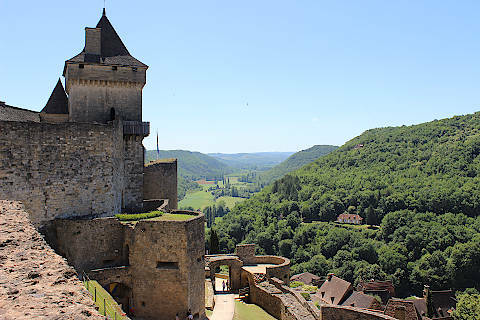 See more Dordogne castles. Another of our favourite castles close to here is the Chateau de Beynac, another beautiful medieval castle in a lovely setting.